The BRC / IoP Global Standard for Packaging and Packaging Materials was originally created to establish a Standard for the suppliers of packaging and packaging materials for the food industry. This Standard is now a leading global Standard adopted by major retailers, manufacturers and packaging businesses around the world and is equally applicable to consumer products and manufacturers of packaging. Certification to the Standard verifies technical performance, aids manufacturers’ fulfilment of legal obligations and helps provide protection to the consumer. 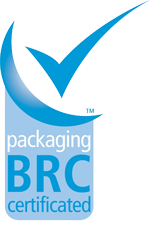 BRC / IoP accreditation is a hallmark for best practice in the retail supply chain and demonstrates that Leeways Packaging is competent in maintaining product safety and integrity.